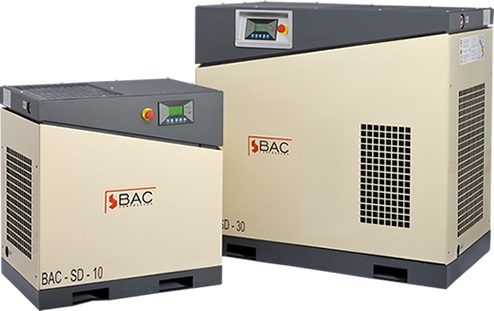 BAC Compressors is a forward-looking company and one of the very few air compressors manufacturers and suppliers in India with more than 35 years of presence and experience in the air compressor manufacturing industry. Located at Coimbatore, Tamil Nadu BAC Compressors is one of the leading air compressor manufacturers in Coimbatore. BAC Compressors is committed to attain world class standards in engineering excellence by bringing in superior quality air compressors. Started off with a production capacity of 300 Reciprocating compressors per annum in the year 1980.Thanks to our infrastructure upgrades and team of technical experts, today BAC Compressors has attained stratospheric heights with a production capacity of 8000 reciprocating compressors manufactured per annum. Our team of skilled professionals works constantly in R&D to improve the compressors energy efficiency and increase the life time of components. Bac Compressor have 30 years of presence in Borewell compressor pumps manufacturers with outstanding performance. Bac Compressors' borewell compressor pumps have been deployed at bore depths of 2000ft and performing effortlessly.